We’re never short on Halloween-season stuff to do in Nashville — the annual Cheekwood Harvest, with thousands of mums and creative scarecrows galore, is one of our team’s favorite things to do very year. 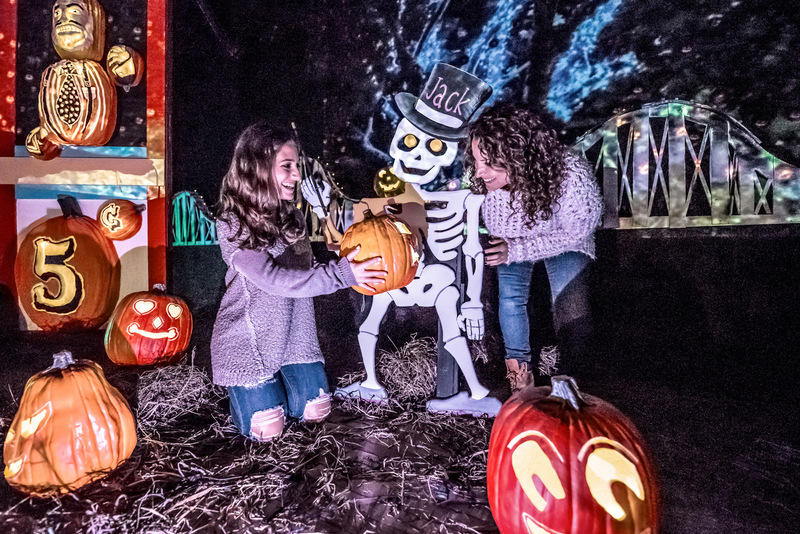 But for 2017, something new for the Nashville fall calendar caught our eyes: THE GLOW: A Jack O’Lantern Experience, a traveling “Halloween Wonderland” that Fontanel is welcoming for three weekends next month, October 13 to 15, October 19 to 22 and October 26 to 29. We all have different Halloween season poisons — some of us want total terror at haunted houses like Nashville Nightmare, others look for more active frights, like the Nashville Zombie Outbreak. If you lean toward the more low-key side of Halloween — spooky in a fun way, like the activity version of The Nightmare Before Christmas — THE GLOW is probably more your speed. 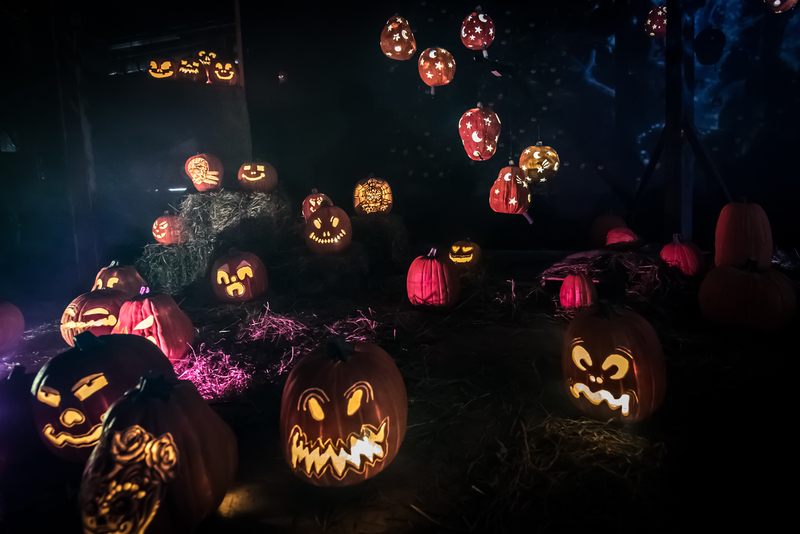 At the event, you’ll get to walk through displays with more than 5,000 hand-carved and molded jack-o-lanterns created by a team of full-time artists. There’ll be intricate pumpkin structures (stuff like 16-foot-tall dinosaurs and jack-o-lantern pirate ships), carefully carved jack-o-lanterns that look like Nashville stars, leaf-littered landscapes of orange, glowing grins… all cute and creative, and all set up for Halloween-appreciators of all ages. Following the 1/3-mile or so GLOW trail takes about 30 to 45 minutes, and you’ll be able to grab fall beverages and snacks along the way to keep you warm/energized. If you’re particularly intrigued by the artistic elements, you’ll also get a look at how the event comes together, as master carvers who create these glowing works of pumpkin art will be on site, showing attendees how they turn a humble hunk of squash into a Halloween masterpiece. Last year’s inaugural GLOW season was up in New Jersey, but in 2017, the team behind the event is taking it on the road to three cities: Washington, D.C., Philadelphia, and Nashville. If you haven’t made it to Fontanel yet, this’ll be a good excuse to check out the mansion/boutique hotel/concert-venue-and-more and its expansive grounds, since the fall is a top time to see the tree-lined, Whites Creek valley property. You could always make a day of it, eat at the on-site Cafe Fontanella and follow up with Halloween fun. Sold on going to GLOW? You’ll need to snag advance tickets. They’re offered night by night for time slots in 30 minute intervals, at $22 for adults, $16 for kids, free for kids under 2. (There’s also a $30 ticket option for any day/any time.) Grab yours online here. For a closer look at what you’ll see — and more examples of the impressive pumpkin art — visit THE GLOW: A Jack O’Lantern Experience website or Facebook page. If you make it, please tag us on Instagram: @acrestate. We’re all big fans of fall family/happy Halloween snapshots. Looking for a new porch in Nashville to set your own Halloween jack-o-lanterns on? We’d love to help you find it. Reach ACRE here, or fill out this quick form to get your Nashville househunting process started.